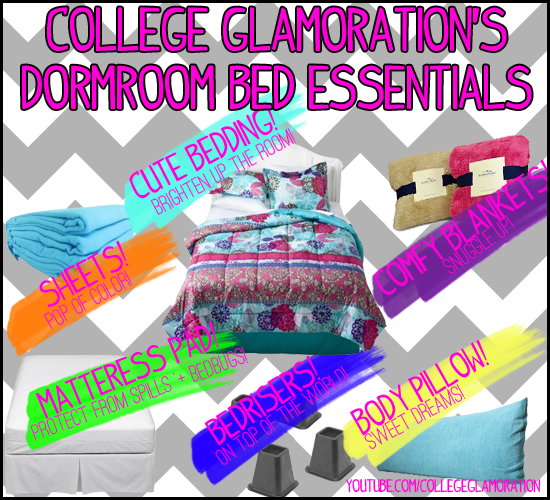 Glamoration: What to Bring to College: Bed Essentials! What to Bring to College: Bed Essentials! Above are some of my Bed Essentials for College! Let me know what other essential blog posts and videos you would like to see! I think that bed risers are one of the most important things! Without them I wouldn't have had nearly as much room to store things under my bed!